It is crucial for accurate model checking that the model be a complete and faithful representation of the system. Unfortunately, this is not always possible, mainly because of two reasons: (i) the model is still under development and (ii) the correctness of implementation of some modules is not established. In such circumstances, is it still possible to get correct answers for some model checking queries? This paper is a step towards answering this question. We formulate the problem for the Discrete Time Markov Chains (DTMC) modeling formalism and the Probabilistic Computation Tree Logic (PCTL) query language. We then propose a simple solution by modifying DTMC and PCTL to accommodate three valued logic. 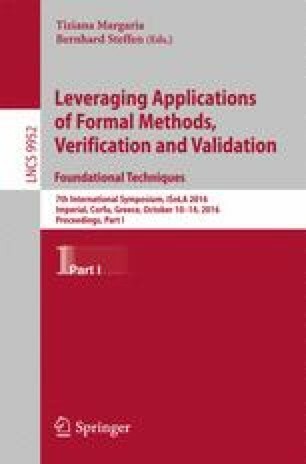 The technique builds on existing model checking algorithms and tools, obviating the need for new ones to account for three valued logic. Finally, we provide an experimental demonstration of our approach.